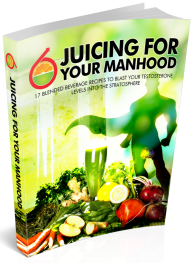 General juicing and juice fasting are all the rage nowadays, whether you’re a worldwide celebrity, gym freak or a couch potato reluctantly trying to improve your lifestyle. 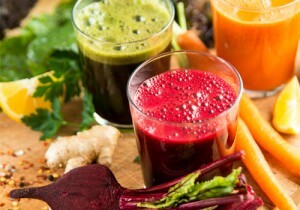 Unless you’ve been living under a rock you’ve heard about the juicing revolution. As with any healthy lifestyle there are do’s, don’ts and more effective ways to spend your hard-earned money and time. 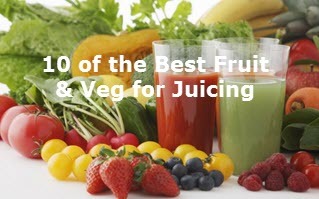 Below we have listed “10 of the best fruits and vegetables” that can ensure you are brimming with vitality, and on your way to optimum health. Carrots – One of my favourite vegetables to juice because of the health benefits and also great taste. Carrots contain copious amounts of beta-carotene which helps in boosting the immune system, preventing cancer and purifying the skin. They are also said to help rid the intestines of nasty parasites. The great thing about carrots too is, that because of their hard consistency, they provide a plentiful supply of juice compared to other softer fruits and veg. Definitely up there at the top of the list. Celery – Another great product for juicing because of its high water content and firm consistency not to mention the health benefits. Celery is full of potassium, so it is great for lowering blood pressure. It also is one of those vegetables that you absolutely must include when detoxing because of its abilities in helping remove toxins from the body. Celery wouldn’t be one of my favourites in regards to taste but that’s the magic thing about juicing, the taste can always be masked by adding sweet fruits like pineapples and apples. Apples – Apples are another one of my favourites and would rank in the top three fruits or vegetables to juice. It’s no wonder that the saying emerged that “an apple a day keeps the doctor away”. Apples are jam-packed with anti-oxidants which help cleanse the body and boost our immunity. Apples are also very nutritious and when combined with carrots make a powerful juice which tastes amazing too. I would usually combine two apples with five or six carrots and a slice of ginger to make a large glass of delicious juice. Lemons – Whether juicing or adding to a smoothie, lemons are a very popular choice in the world of detoxing. Lemons are cancer fighting, liver cleansing and also help to lower blood pressure. Full of vitamin C too, they help to ward off the common cold. Lemons can be over-powering when juiced so I tend to add only a thin slice to give my juice a bit of a kick. Add a slice of ginger too for a powerful combination. If you don’t have lemons handy then opt for any citrus fruit for much the same benefits. Sweet Potatoes – Sweet potatoes are another one we must add to our list because of its health providing qualities. Packed with vitamin A – up to 1000 times more than the white variety – making it beneficial to our eyesight. They are also anti-inflammatory and also a good source of vitamin C. When you are buying them at the grocery store opt for those with the deeper orange colour as they are richer in beta-carotene than the lighter coloured ones. Berries – All berries are great for juicing because of their antiviral and antibacterial properties. You won’t get the most juice from berries because of their general consistency but they should definitely be a part of any juicing plan. Blueberries are great for urinary tract infections and can also help with diarrhea. They are also filled with anti-oxidants which is good for maintaining a healthy heart. Cranberries are renowned to help with cystitis as they help remove harmful bacteria through the urine. Pineapples – Pineapples are great for sweetening those otherwise hard to stomach veggies like broccoli and spinach. That aside they also aid with digestion due to containing a digestive enzyme named bromelain. Pineapples are also said to help dissolve blood clots and also contain anti-inflammatory qualities. Try juicing pineapples with beetroot. A good healthy combination and great taste too. Cabbage – This is one of those vegetables that it is better to add a sweet fruit to – like apple or pineapple – to mask the taste. Doesn’t taste good at all but is packed full of goodness, especially if you suffer from ulcers or other stomach problems. Cabbage also has detoxifying qualities and is a good source of folate which is great for supporting the nervous and immune systems. The consistency and water content of cabbage makes it ideal for juicing. Kale – This another favourite in the juicing world. Again not one renowned for its palability but definitely a powerhouse in nutrition. Kale is rich in nutrients that help keep our hearts, eyesight and skin in good working order. Kale can also help fight against the onset of cancer. Kale has a bitter taste so most people need to combine it with a sweet fruit, like apple and maybe a slice of lemon. Kale is also very low in fat with the average cup of kale coming in at less than 40 calories. Check out this article for a couple of amazing juices that contain kale. Beetroot – Not only is beetroot delicious on salads but when juiced it gives an amazing energy boost, and is a great source of anti-oxidants. This makes it another one of our firm favourites. No need to peel the root when juicing and you can also add the leaves which contain numerous other nutrients. Beetroot can be very messy and can easily stain work surfaces. So, expect some cleaning up after juicing. Worth the effort though! Obviously this is not an exhaustive list but that’s the nature of choosing favourites. Many of you may feel that other fruits or veggies should have been included. We agree! Some others we can think of are, broccoli, spinach, and cucumber to name a few. Hope the above selection though has given you some juice for thought. You see what I did there:)? I just tried and i loved it. Very nice but can you have this drink on a daily basis? Yeah of course, why not?